Young Tea might not sound like a real person's name, but rest assured, Young is the real deal when it comes to the automotive scene. We first crossed paths when he was working as Longo Toyota's Assistant Service Manager; I needed to take my car in for maintenance and found myself confused if I should ask for "Young" or "Mr. Tea." After a couple of scheduled services, we learned we had similar interests and became really good friends because of it. 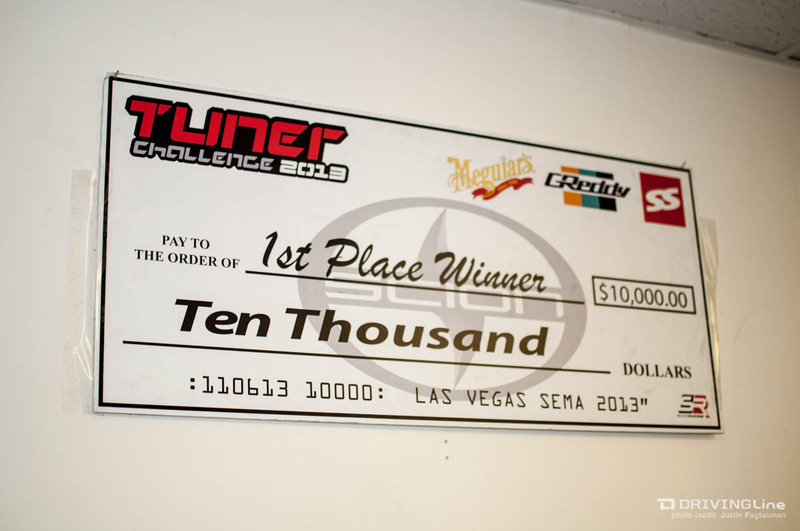 It has been a long journey since then with Young founding FRS86, winning the SEMA Scion Tuner Challenge, and opening his own shop, AutoTuned; I am very fortunate to have been there to witness it all. Young's position at Five Axis allowed him to learn about design and vehicle concept, which was also when the idea of FRS86 first came to mind. 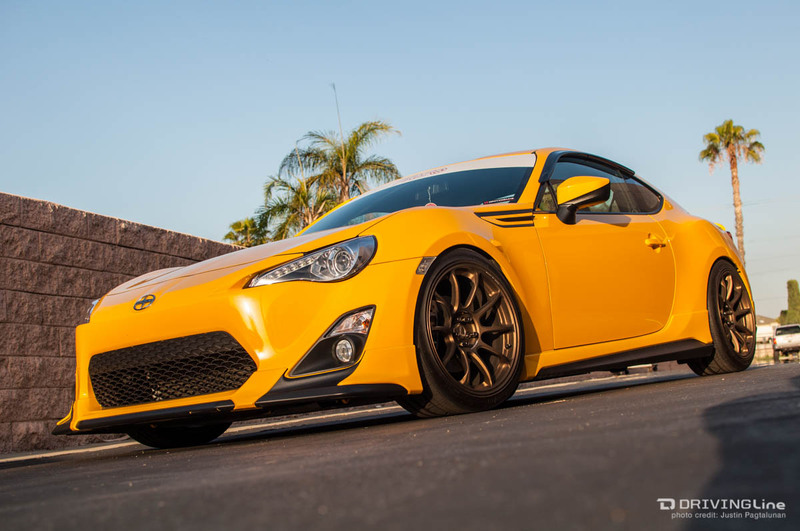 Through his Five Axis and Longo connections, he immediately fell in love with the Scion FR-S Concept and pushed hard to get his own production Scion FR-S a week before the official release date. 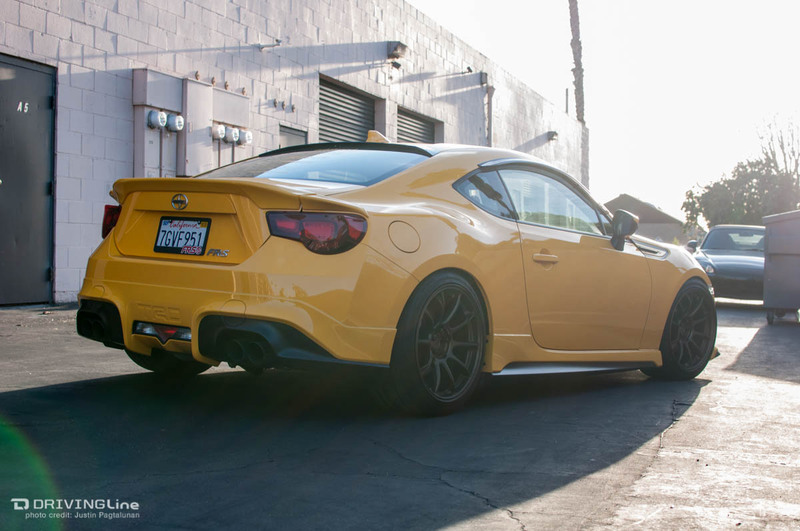 Being one of the first Scion FR-S owners, a lot of aftermarket companies collaborated with Young for product testing, and in exchange, he started sharing reviews of these products on FRS86's social media outlets, giving valuable feedback to the FR-S community. This quickly enabled him to become the go-to guy for all things FR-S/BRZ/86, which was all part of his grand vision. It's a little known fact, but the circle of the 86 logo symbolizes global unity that's built on tradition, lifestyle and culture. 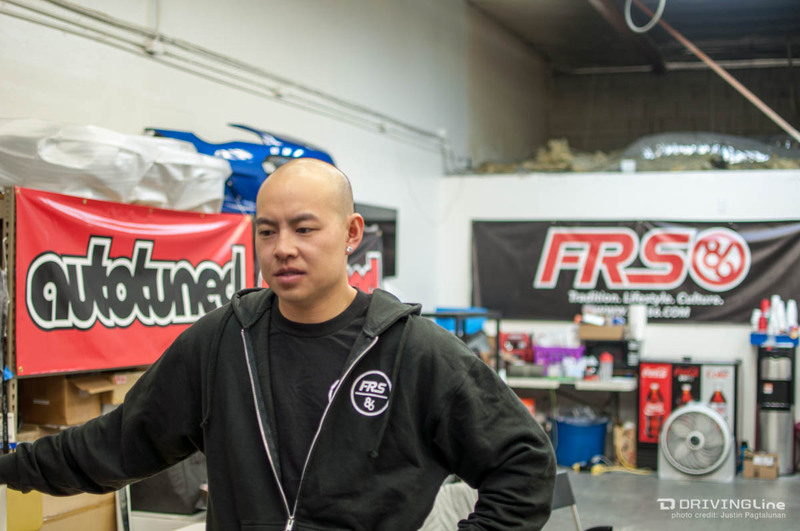 The FRS86 movement has become bigger as it currently has over 15,000 combined social media followers, including many of his close friends and supporters, including Ken Gushi, AEM Intakes, Meguiar's and Nitto Tires. 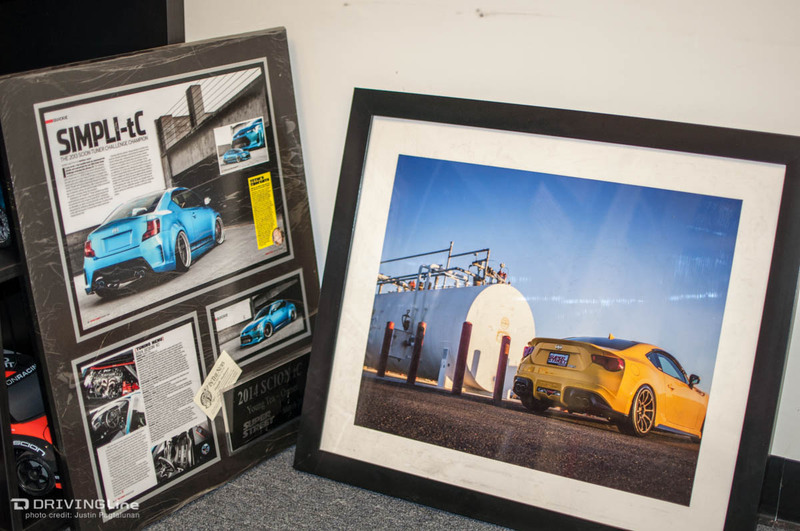 Eventually Young moved to OEM Audio Plus as their Director of Client Development to help develop their brand, and while it was a short-lived deal, it provided Young with more opportunities to work with dealerships and connect with more FR-S enthusiasts. 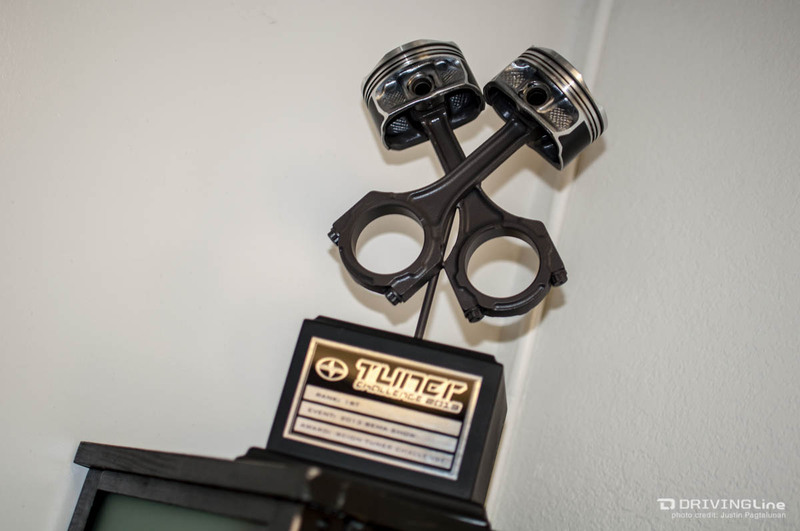 After OEM Audio Plus, Young was faced with a new challenge, the Scion Tuner Challenge to be exact. He did the unthinkable, dedicating his entire waking moment to see this project come to fruition, and while it was a stressful time, the experience is something he walks away very appreciative of, especially since the tC his team not only built but won the damn thing! After SEMA, Young needed to get back to reality, and despite his new success and connections, he continued to struggle with moving forward. "It was one of the hardest times of my life," he says, "Most people would say 'We could take you but we don't want to keep you from what you're going to become.'" This was something he couldn't understand at the time. As Young continued his search, FRS86 continued to grow in ways that were unexpected. FR-S owners soon started coming to him to help tune their cars because he was the "Tuner Challenge Guy", and used his home garage to take clients in. It wasn't the ideal situation but it helped to pay the bills at least for a while... Eventually the situation started getting out of hand; he became a victim of his own success, you could say, and his landlord gave him an ultimatum: stop working on cars in his garage or move out. He couldn't give up a place to live since he was also supporting his parents and younger brother, so he had to put his garage life on hold. But with so many customers coming to him, he knew the time was right to finally open up shop. Young gave himself two weeks to find a legitimate spot to operate from or he'd go back to the classifieds. Of course, timing is everything, and during that last week he finally found a space. His parents couldn't have been more supportive; in fact, the first words out of his dad's mouth were "Take it." 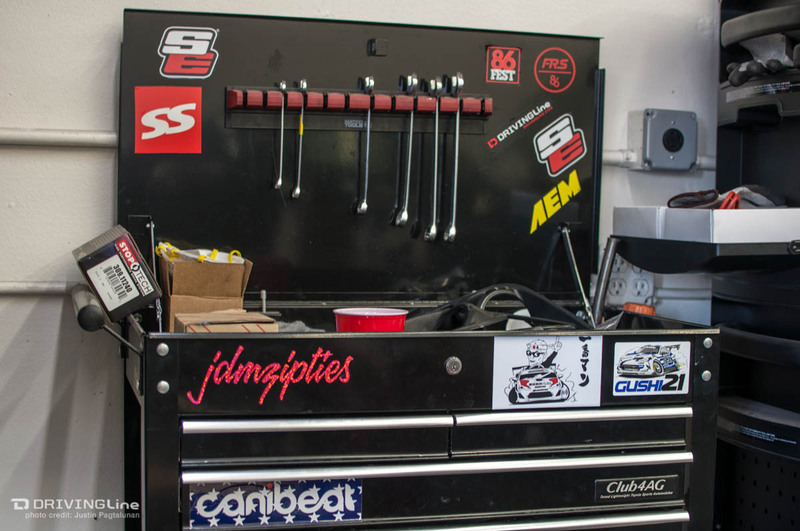 From there AutoTuned was established, and while he didn't have much to start with, Young filled up his shop quickly with tools out of his garage while his customers came pouring in. 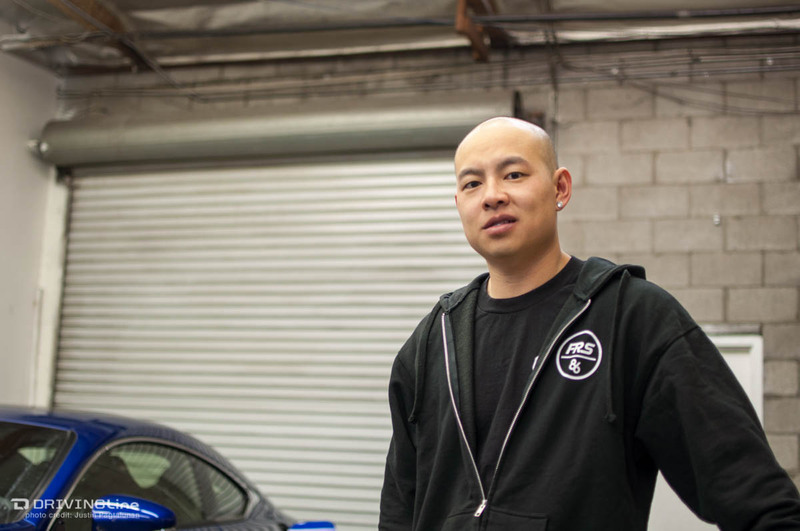 Nine months later and the shop has become a big success as Young has taken on all types of cars, not just the FR-S. With AutoTuned, Young has gotten the opportunity to work on a number of vehicles, ranging from Subarus and Teslas to a Polaris SlingShot. But out of all of these cars, none of them hold as special of a place in Young's heart than his current car, the new Scion FR-S RS1. 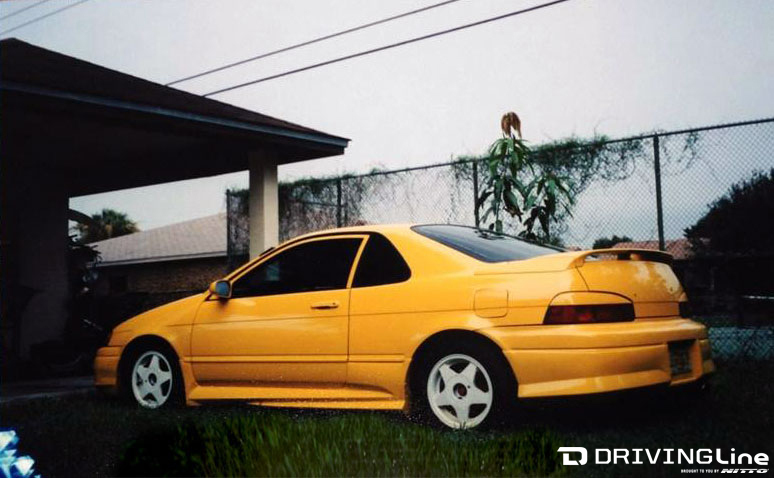 The TRD kit on the RS1 was a perfect compliment to the FR-S's body lines, but it was actually the yellow paint job that hooked him in – reminiscing to his early times with that custom turbocharged Toyota Paseo! What’s unique about his RS1 is that it is the world’s first modded Scion FR-S RS1! With only a few miles on it, Young picked it up from Longo – of course – and took it straight to AutoTuned where a new set of RS*R coilovers and Volk Racing ZE40s mounted on Nitto Invo tires were just sitting waiting to be installed. Young has gone through a heavily traveled journey to get to where he is now, but his legacy is still young! There’s no telling what other success he will get himself into next. Keep updated to find out at FRS86, AutoTuned, or Young personally.